There are lots of good geology books, but I recommend these ones – all up-to-date, well-illustrated and readable, without too much jargon! For field guides with detailed descriptions of different areas of Scotland, check the publications of the Edinburgh Geological Society and Geological Society of Glasgow. Geology and Landscapes of Scotland, Con Gillen, 2013. The best comprehensive account of the geology of Scotland. Con has done a fantastic job in summarising a huge amount of knowledge into a concise volume covering the geology, mineral resources and landscape of Scotland. It has a lot of detail, but technical terms and rock names are simplified and explained, with an excellent glossary. Dunedin, ISBN 9781780460093. 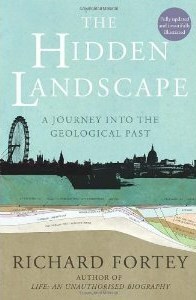 Landscape fashioned by geology series, Scottish Natural Heritage/British Geological Survey. A series of short, well-illustrated books introducing the geology of several areas of Scotland. e.g. Scotland – the creation of its Natural Landscape, Scottish Natural Heritage, ISBN 1-85397-004-2. 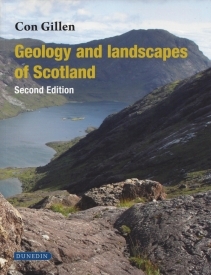 The entire series is now out of print, but available as free pdf downloads from the scottishgeology.com website. Some of the Landscape fashioned by geology have been republished by Birlinn as the Landscapes in Stone series, authored by Alan McKirdy. The series includes the introductory Set in Stone, by Alan McKirdy 2015. A great little book, exploring the big stories of Scotland’s geology for a non-specialist audience. Birlinn, ISBN 9781780271514. 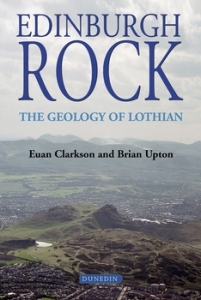 Edinburgh Rock: The Geology of Lothian, by Euan Clarkson and Brian Upton. Published in 2006, the book is written by two of the geologists who taught me at Edinburgh University. The enthusiasm I remember from their teaching bubbles from the pages. Euan Clarkson and Brian Upton have made a great team, bringing together their expertise in different areas to provide a comprehensive description. The book is written for non-specialists, but given the nature of the story and the amount of detail included, it is inevitable that there is a fair amount of geological terminology to be wrestled with. Read it with a geological dictionary to hand! Dunedin, 1903765394. By the same authors, Death of an Ocean: a geological borders ballad (2009) continues the theme and explores the fascinating and under appreciated story of the Southern Uplands. Dunedin, ISBN 9781906716028. Land of Mountain and Flood, Alan McKirdy, John Gordon and Roger Crofts, 2007. A big book in all senses! 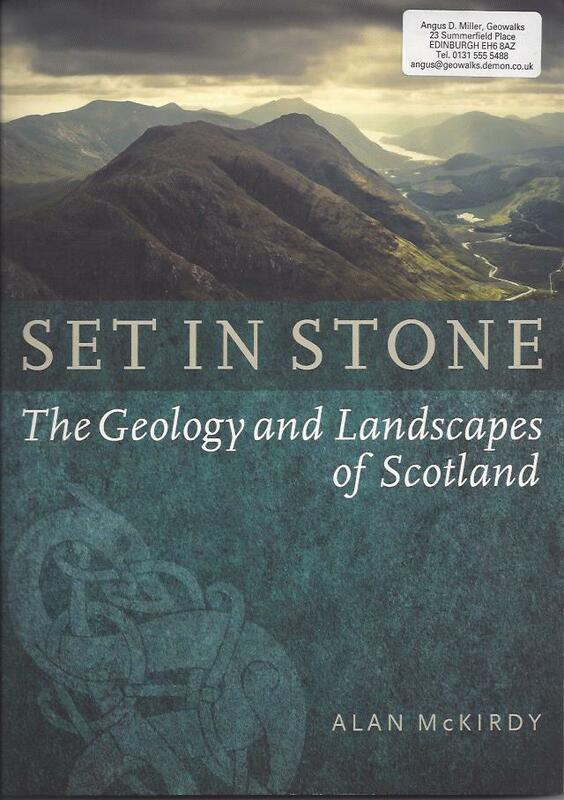 A grand overview of the geology and landscapes of Scotland, with chapters on why geology is important in all our lives, Scotland’s journey and the future on different time scales. Places to visit, and plenty, big, beautiful photos to inspire you. Birlinn, ISBN 1 84158 357 X.
Volcanoes and the Making of Scotland (2nd edition), Brian Upton, 2015. A detailed account of the many different volcanic episodes that have been crucial in forming Scotland’s rocks, going back in time from the relatively recent eruptions forming the west coast islands, to eruptions over a billion years ago. Dunedin Academic Press, ISBN 978-1-78046-056-7. 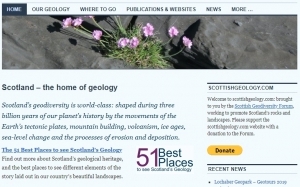 Scottishgeology.com is a gateway site to Scotland’s geology, maintained by the Scottish Geodiversity Forum. It includes an introduction to the geology of Scotland, the 51 Best Places to see Scotland’s Geology, and links to further information. I’ve worked with Historic Environment Scotland to write a resource for teachers planning a visit to Holyrood Park, which is available for free from Historic Scotland. Available as a pdf download from the Historic Environment Scotland website. The Earth Science Outdoors project aims to bring the rocks of Scotland to life and to tell stories of Scotland in the past: of volcanoes and tropical seas, of mountains and vast rivers, of hundreds of millions of years of changing climates and environments, and make links from the rocks to many different aspects of life in Scotland in the past, present and future. The pilot phase of the project ran from 2008-2009, developing resources for 10 sites in Grampian and Fife/Lothians. Funding was provided by Scottish Natural Heritage and a science engagement grant from the Scottish Government. Intro – Activities –Resources 0-2 Explore your local landscape; Find a pet rock; make connections between rocks and landscape; Explore active processes and how people have used local rocks. St Machar’s Cathedral, Aberdeen – Stone detectives 2-3 Rich context for studying geology, history and many other areas of the curriculum and for developing general outdoor study skills. Crawton 2, 3-4, Higher Variety of local rocks; contrast between sedimentary and igneous rocks; erosion by the sea; lava flows. Cowie, Stonehaven 2, 3-4, Higher Sedimentary rocks: sandstone and conglomerate, ancient environments; modern sea erosion and deposition; use of local stone for building. St Monans, Fife Higher Variety of local rocks; sedimentary rocks: ancient environments; volcanic activity; folding and faulting. Kinghorn, Fife Higher Range of sedimentary and volcanic rocks; contrast between lava flows and intrusions; raised beach and wave-cut platform. Rock and Spindle, St Andrews, Fife Higher Range of sedimentary and volcanic rocks; volcanic vent with intrusions; recent erosion and landslipping. North Berwick, E Lothian 3-4 Shape of local landscape controlled by different kinds of igneous rock; different parts of volcanic field visible. Holyrood Park, Edinburgh 3-4, Higher Shape of local landscape controlled by contrasting igneous and sedimentary rocks; evidence of glacial erosion; volcanic features. Level 3-4, Higher 3-4, Higher Clear links between the shape of the land and types ofbedrock; interrelationships between people and the environment; seashore and forest habitats. Get Exploring on a Geowalks Adventure! Wherever you are in Scotland, you have some of the the world’s most amazing geology under your feet. You’re surrounded by an incredible geological story that stretches back through billions of years of deep time. Join geologist Angus Miller on a time-travelling Geowalk as you learn the importance of the Scottish landscape in this ever-changing world.